UK-based Intelligent Fingerprinting has announced the availability of its new fingerprint-based drug screening system to drug rehabilitation service providers. 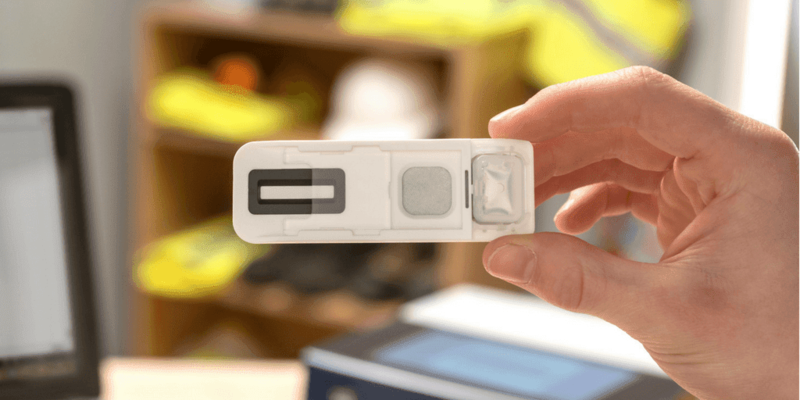 The company’s revolutionary technology detects drug use by analysing fingerprint sweat, screening for multiple drugs of abuse in under 10 minutes. Its dignified, non-invasive approach makes it an ideal choice to support drug recovery programmes that currently rely on oral-fluid or urine-based drug tests to track clients’ progress. The new fingerprint-based drug test is portable, offering a convenient drug screening approach for use by drug rehabilitation services in both clinics and community-based centres. The system makes it simple to set up screening sessions, collect samples, administer tests and get results quickly on location. Fingerprint drug testing is also particularly easy to use and non-invasive, sidestepping potential hygiene concerns associated with traditional screening methods that involve the collection and disposal of body fluid samples such as saliva or urine. 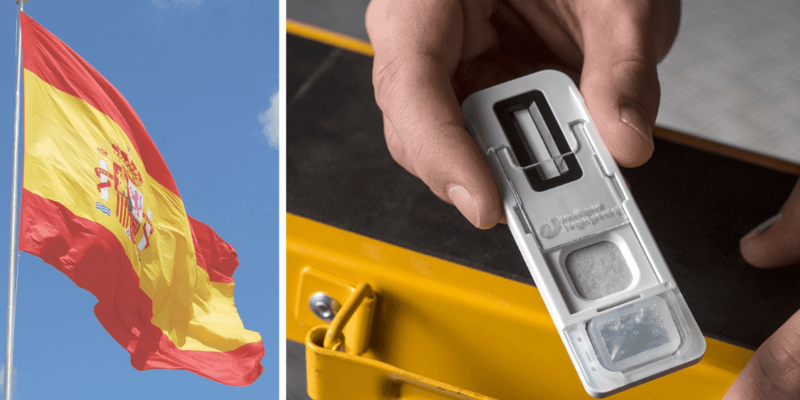 The Intelligent Fingerprinting Drug Screening System consists of a sample collection cartridge and the portable Reader 1000, and works by analysing the tiny traces of sweat contained in a fingerprint to detect signs of drug use. 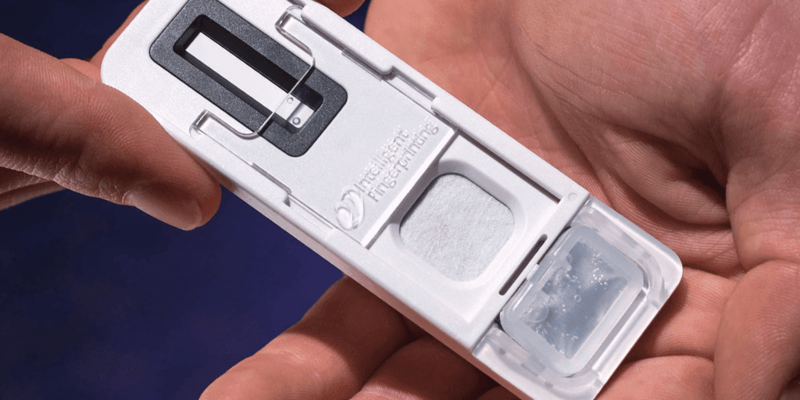 Collecting a fingerprint sweat sample onto an Intelligent Fingerprinting cartridge takes just five seconds, and the Reader 1000 provides a positive or negative result for each drug in the test within just 10 minutes. Rehabilitation programmes rely on regular drug screening to measure treatment progress and identify the need for intervention if a relapse occurs. Current drug screening methods are time-consuming, undignified and involve bio-hazardous samples such as urine and saliva which may require specially prepared sample collection areas, gender-specific staff for observed collection of urine samples, bulky storage and clinical waste disposal services. Intelligent Fingerprinting’s unique fingerprint-based portable Drug Screening System is set to revolutionise the way drug screening is carried out across a range of sectors. The distinctive Intelligent Fingerprinting technology, which works by analysing the sweat from a fingerprint sample, enables non-invasive, cost-effective screening for multiple drug groups in less than 10 minutes (currently amphetamines, cannabis, cocaine and opiates). The company’s groundbreaking technology detects drug use by analysing chemicals, known as metabolites, contained in the minute traces of sweat found in a fingerprint. (Metabolites are chemicals produced by the body as a result of normal metabolic processes.) The Intelligent Fingerprinting Drug Screening System looks for the presence of specific drugs or drug metabolites in the test subject’s fingerprint sweat sample and, if detected, identifies which drugs have been consumed.